With the two 2008 Heesen builds, 46.7m M/Y Mon Plaisir and M/Y 44m Sibelle, enduring price reductions this week – with the former reduced by €3 million to €18.5 million and the latter reduced by €1.5 million to €15.5 million – and a mere 2.7m and 41 gross tons between them, we consider it fitting to juxtapose the builds financially and upon examination of the specification sheets. 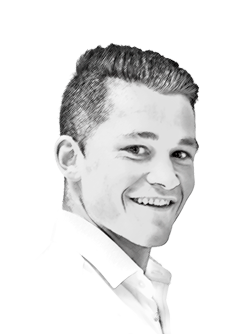 SuperyachtNews speaks to Alex Banning, sales broker at SuperYachtsMonaco and representing both vessels, for his insight into the key disparities of the closely matching, price-reduced vessels, which he insists were not reduced correspondingly. Justifying the extra €3 million in price, Banning says “On paper there is not much between them at all, but the allocation of volume, inside and out, is noticeably larger on Mon Plaisir. Sibelle is a semi-displacement with larger engines and Mon Plaisir is a full displacement with smaller engines." 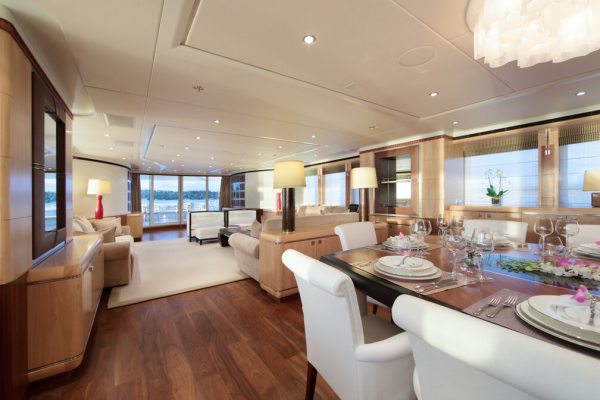 Omega Architects (designer of both vessels) has apportioned a more familiar looking main salon and sky lounge layout for Mon Plaisir, which utilises the full beam for a longer section of the yacht. 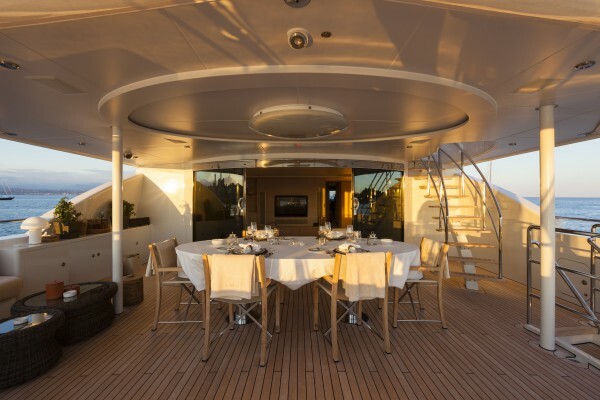 The ‘pinch-point’ on Sibelle, where the engine room ducting is, reduces the beam at the aft of the main salon, however, clever furniture design has created two distinct main salon areas. 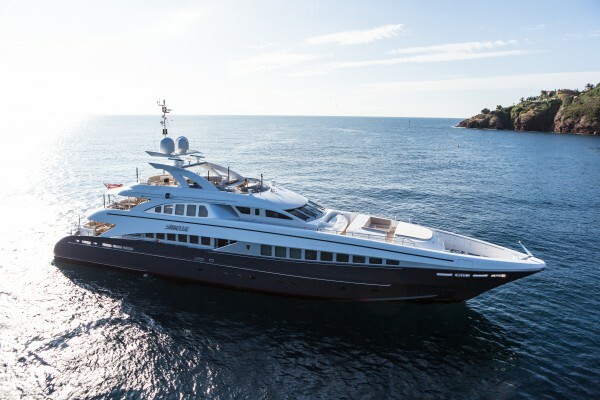 Sibelle is not commercially registered and has been privately used only, but the owner has ensured very low usage of the vessel since taking delivery of his new 50m Heesen. Mon Plaisir had very little initial usage, but has been chartered the past two seasons. Both have similar engine hours; Mon Plaisir’s 896 engine hour difference is because of continued usage after an early starboard engine failure – now entirely rectified by the yard of course. Banning says that neither yacht has done a Caribbean season, with this period used for continual maintenance work. As such, both are fully serviced without the need for major refit work. 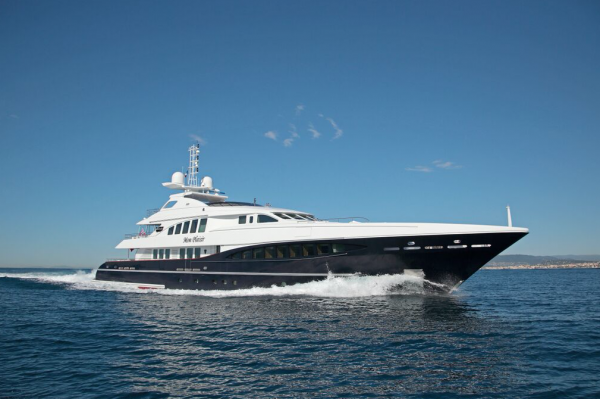 With many similarities in use and specification, it really looks to be a question of where the buyer sees more value; does he/she want to cruise from St. Tropez to Monaco at 23 knots, with a slight volumetric compromise? 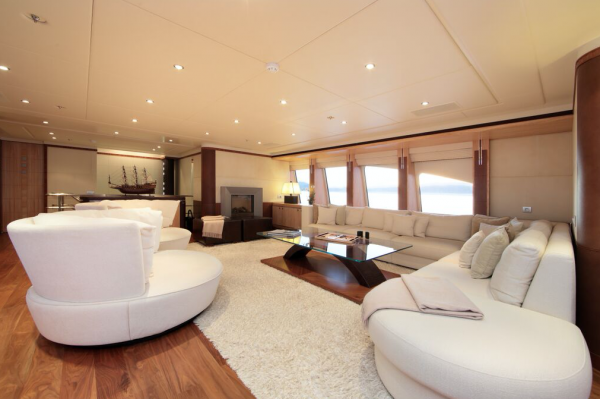 Or would he/she prefer to have a slower and more stable passage, while enjoying the grander living areas on offer? Below are some of the key differences and similarities for consideration. OPEX (estimation): €1.5 million p.a. / €1.5 million p.a.